After a career in the outfield, Carlos Beltrán has lately been spending his days as a designated hitter—now 40 years old, he hasn’t played in the field since May 16. (This despite the fact that he’s hitting .231/.289/.408 on the season.) 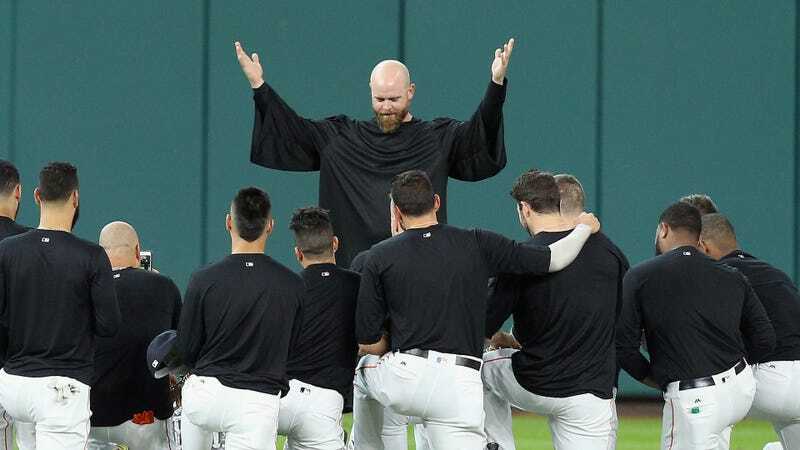 Apparently, the Astros collectively subscribe to a belief system in which outfield gloves are put to rest after laying dead for a period of exactly two months, because today brought us a moving funeral ceremony for Beltrán’s deceased glove.